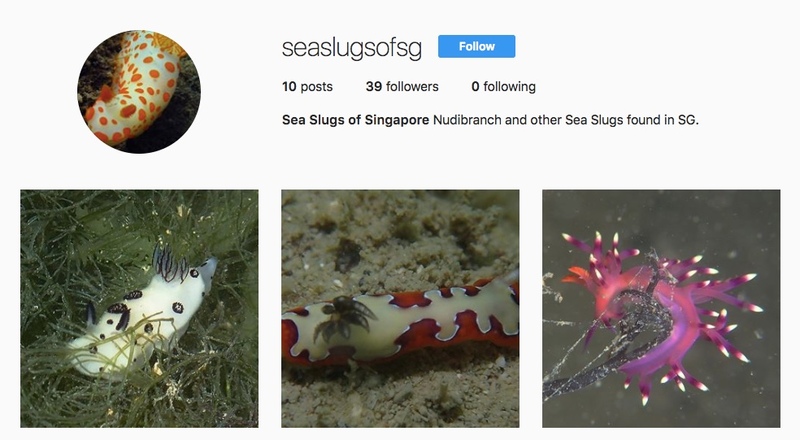 Here, we have Sea Slugs of Sg (@seaslugsofsg). This page was started and managed by a local dive enthusiast who LOVES her nudibranchs and other related sea slugs! Affectionately called the 'bionic eyes', she can spot sea slugs as tiny as a rice grain! Through Sea Slugs of Sg, she will be showcasing the myriad diversity in local waters, mostly from Pulau Hantu. This is one for divers! Be sure to FOLLOW US! on Sea Slugs of Sg to get your dose of Singapore's marine wildlife!